Another exciting Future Day took place at our Vifor Pharma headquarters in Glattbrugg last week. As part of a national initiative to promote open career and life planning for school children, girls and boys aged 10 to 13 years old, were invited to accompany a parent or relative to work. 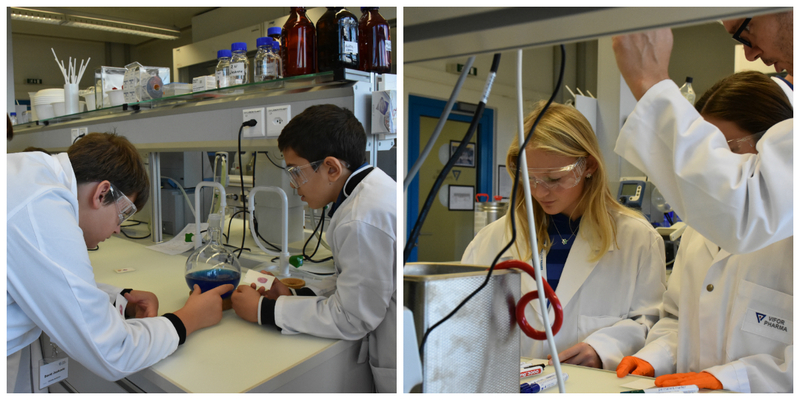 The youngsters had a busy programme starting with an introduction at our headquarters and a trip to our laboratories in Schlieren, where they were introduced to the work of our chemists and biologists. They were shown impressive scientific experiments by our lab team, and could even try some for themselves! To top off the day, the children enjoyed a delicious pizza lunch with the team in Schlieren before returning to Glattbrugg. Back at the headquarters, the children learned more about iron deficiency and how it affects patients’ lives. Last but not least, it was time to visit the parents and relatives at their work places, to gain insight into their day-to-day worklife and to help out with some tasks. We thank all relatives and children for their contribution and trust. It was a wonderful day with fruitful exchanges and lasting impressions. A special thanks goes to all involved Vifor Pharma employees, making this day a special day for our children: Vania Manolova, Naja Nyffenegger, Anna Flace, Ahmet Varol, Wilm Buhr, Nadine Thomauske, Ran Xu, Aris Kalogerakis, Espedita Pepe, Cyril Blättler and Driton Ajeti.